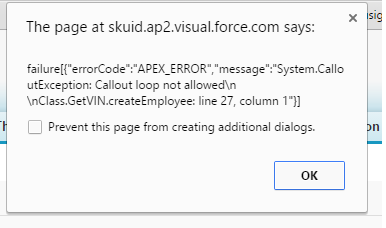 I want to fetch VIN details from an external webservice by callouts, this should be fired from SKUID page once user given input on the required field. From Skuid i am calling apex class which is itself exposed as a web-service in-order to make SKUID to call the service. Is there any workaround to achieve this, i can not make anything as future is because i want the data from callout response to be shown back on SKUID UI. Browse other questions tagged rest-api callout skuid or ask your own question.